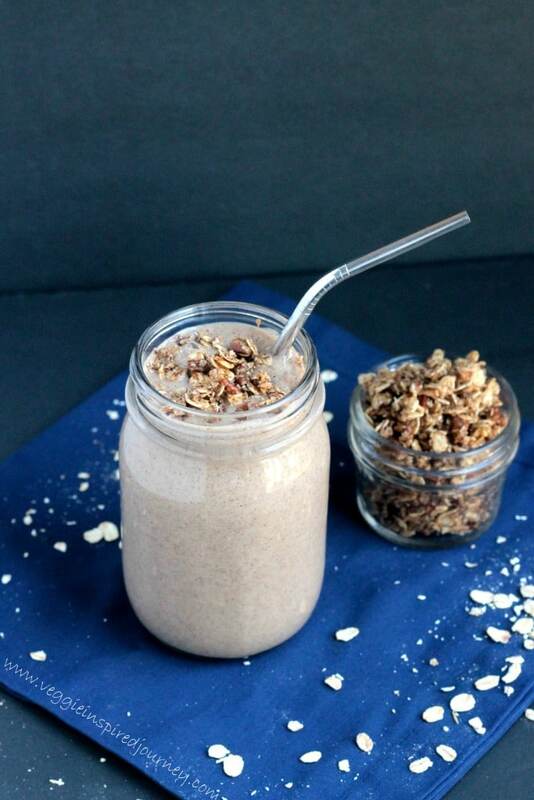 Oatmeal Cinnamon Smoothie – Sweet and creamy like a milkshake, but healthy and filling! Loaded with cinnamon, this sweet treat will tantalize your tastebuds. The perfect way to start your day! 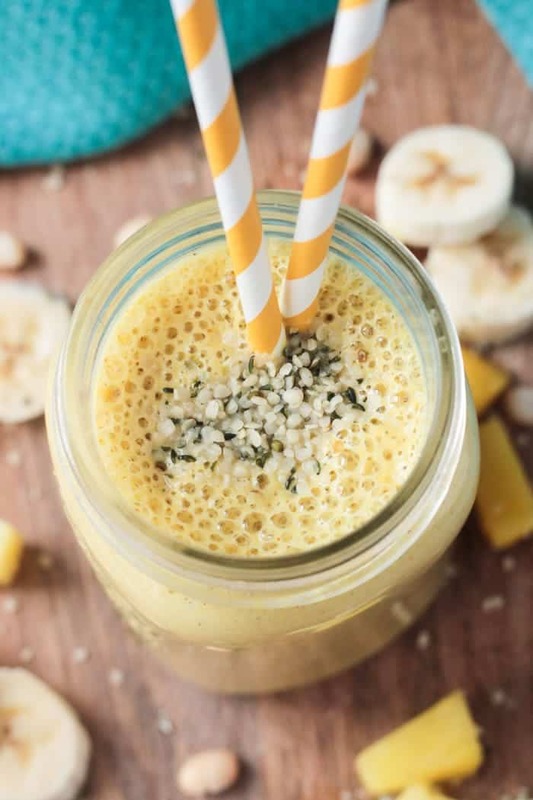 I’ve got another yummy smoothie recipe for you to try today! We’ve been crushing on this one for about 2 weeks now. The kids and I just love cinnamon and there is plenty of it here in this Oatmeal Cinnamon Smoothie w/ Oatmeal Cookie Crumble. It’s packed with loads of healthy ingredients, but it’s definitely kid approved. 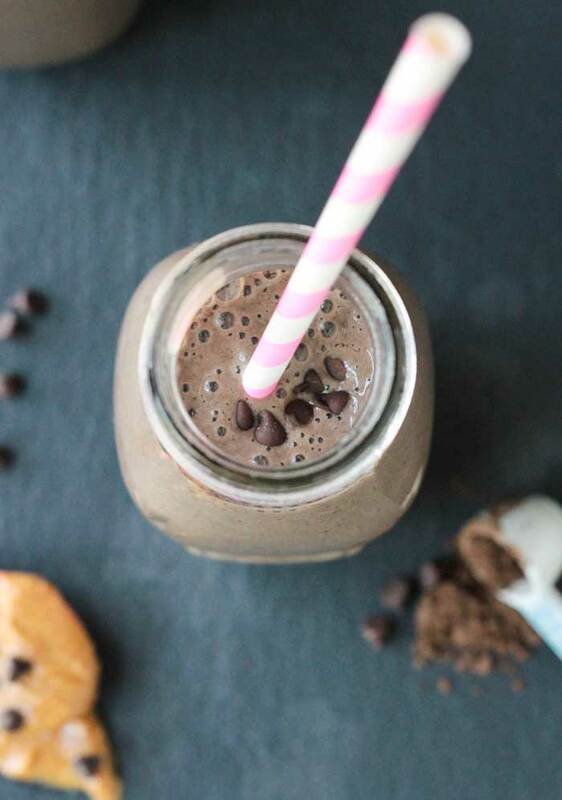 It’s kind of like drinking a milkshake for breakfast and who doesn’t want to do that?! This treat is completely refined sugar free. The oatmeal cookie crumble has a touch of pure maple syrup, but the crumble is totally optional if you want to leave out sweeteners of any kind. Did you know that cinnamon is considered one of the world’s healthiest foods? It’s loaded with manganese, fiber and calcium and has been shown to aid in controlling blood sugar and clotting and has anti-microbial properties. Research has also shown that the scent of cinnamon boosts brain activity. 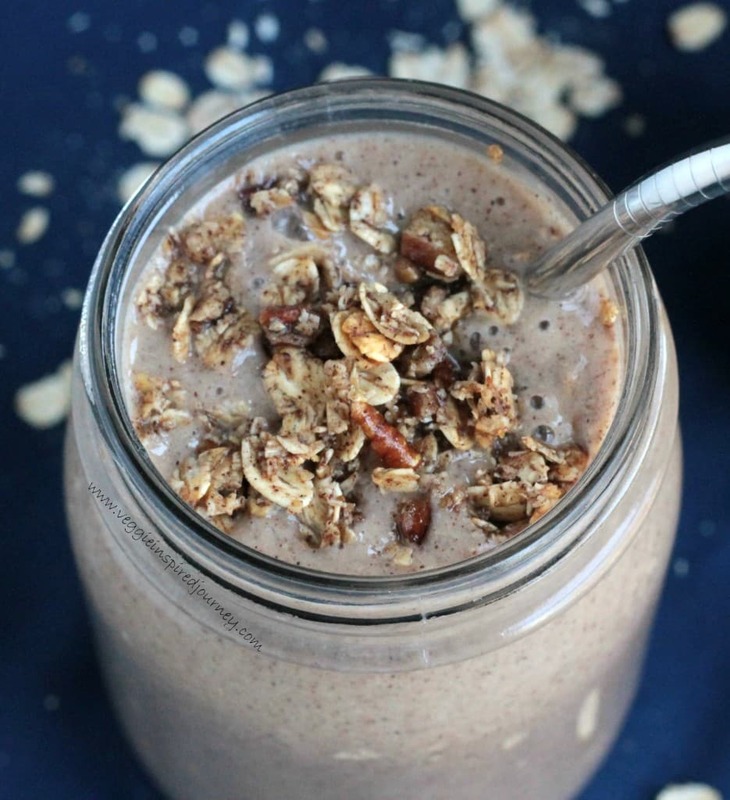 Bottom line: You need this Oatmeal Cinnamon Smoothie in your life! 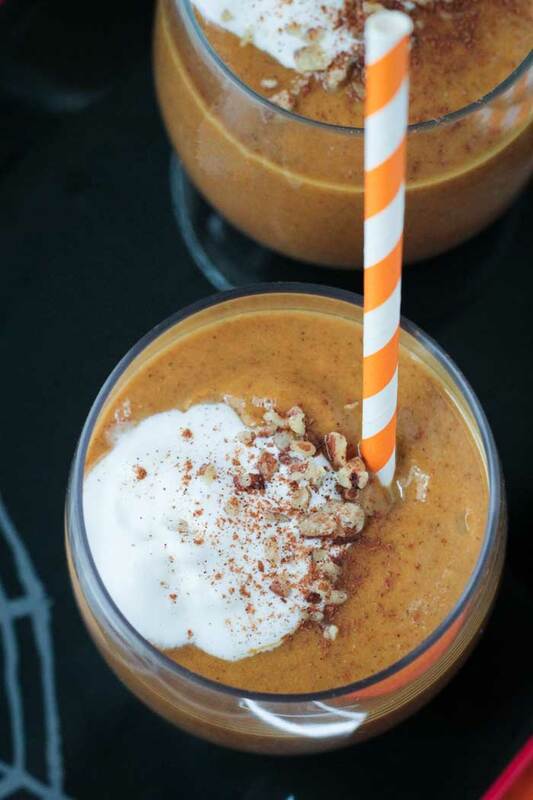 I hope you love this Oatmeal Cinnamon Smoothie as much as we do. If you try it, please come back and leave me a comment below with your feedback. You can also find me on social media. Be sure to tag @veggie_inspired and #veggieinspired so I’m sure to see it. Enjoy! Sweet and creamy like a milkshake, but healthy and filling! Loaded with cinnamon, this sweet treat will tantalize your tastebuds. The perfect way to start your day! If you are using the Oatmeal Cookie Crumble, make it first. It will get crunchier as it cools. For the Crumble: Add all ingredients to a small bowl and mix well. In a small skillet over medium-high heat, cook, stirring constantly, for 3-4 minutes. Take off heat and let sit while you make the smoothie. For the smoothie: Add all ingredients to a high-speed blender and blend until smooth. Pour the smoothies into individual glasses and sprinkle with the oatmeal cookie crumble (if using). ~The crumble is just as good without cooking it at all, it just won't be crispy. 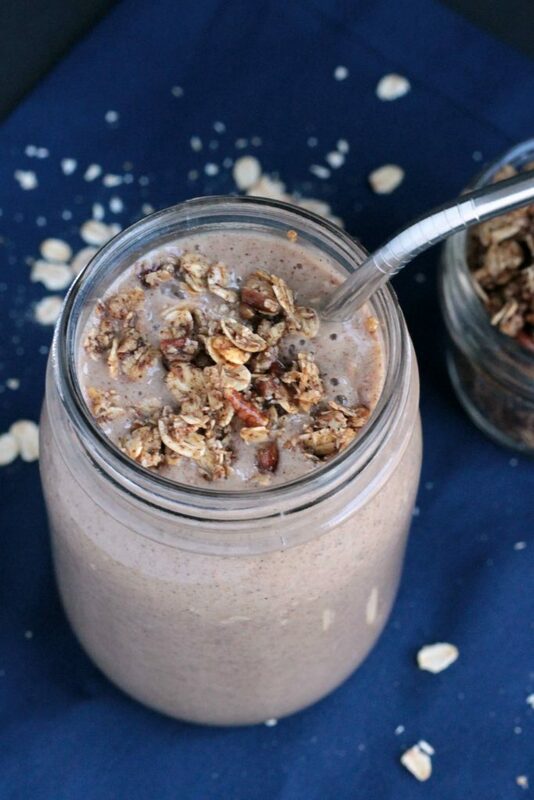 ~Be sure to use certified gluten free oats if you need this smoothie to be gluten free. Cinnamon is my ALLTIME favorite flavor!! I consume it daily. I think your smoothie is gorgeous and sounds so amazing with the cookie crumble on too. YUM. I love that you didn’t skip on the cinnamon either! I have a cinnamon cookie recipe coming very very soon. Cinnamon has so many health benefits too. My favorite is Saigon cinnamon, so incredibly flavorful and strong. I LOVE Saigon Cinnamon too, but it’s not available in most grocery stores around here. I have to make a special trip. Honestly, I could have added MORE cinnamon for my taste, but I know most people think it’s a pretty strong flavor so I tried to hold back. 🙂 Can’t wait for your cookie recipe!! YUM!!! This looks so good!! I love smoothies and oatmeal cookies so why not put them together?! Right? Cinnamon, smoothies, oatmeal…what’s not to love?! Thanks, Sophia! Yay for cinnamon! It’s pretty amazing. When my dad had Alzheimer’s I did tons of research on foods that promote cognitive healing and cinnamon was one of them. This smoothie is perfection. Pinned! Good to know, Linda! Alzheimer’s runs in my husband’s family. It is a devastating disease. The whole reason I got into plant based eating in the first place was to try to be as preventative as possible when it comes to disease. Both my family and my husband’s have a history of a variety of diseases. Hoping to stop it in it’s tracks HERE! Thanks for pinning!